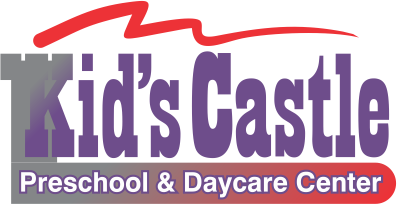 It's never too early to get a head start on learning, at Kids Castle Preschool & Daycare our focus is on your little ones..
Two and three are wonderful and energetic years in your child's life. We focus that energy into independence and self assurance. Preschool is one of the biggest and most important steps in your little one's life. The preparation here will help them in Kindergarten next year. Whether you need after school care or a good summer program for your school aged kiddo, we've got you covered. We provide a safe and enriching environment for your children to grow and learn. Serving the Sand Springs and Tulsa area we make sure your child has the freedom and structure to thrive the best way they can..
We've got you covered, click the picture above and it will take you to a printable document so you can fill it out before you get here! We understand that you want to know who your children will be with and the facilities they will in; so give us a call today to schedule a time to tour our facilities. We post updates, events, and even have a secure page only for parents where we post pictures of your children. Connect with us so we can share your little one's special moments. Want to know what's going on at Kids Castle today? Don't worry, we've got a calendar set up just for you, and it's printable so you can hang it on your fridge!